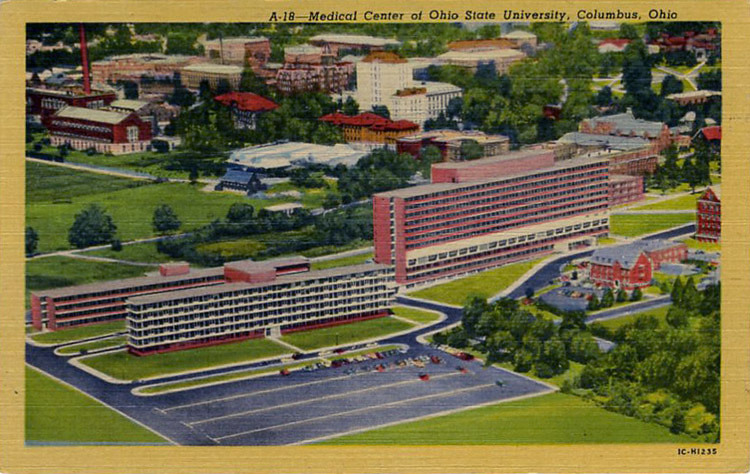 1951 postcard of new Ohio State University Medical Center. June 15, 2011- 1658 Neil Ave. Upstairs was home to Theora Hix, a medical student murdered by her lover, Dr. Snook, in the notorious 1929 homicide. 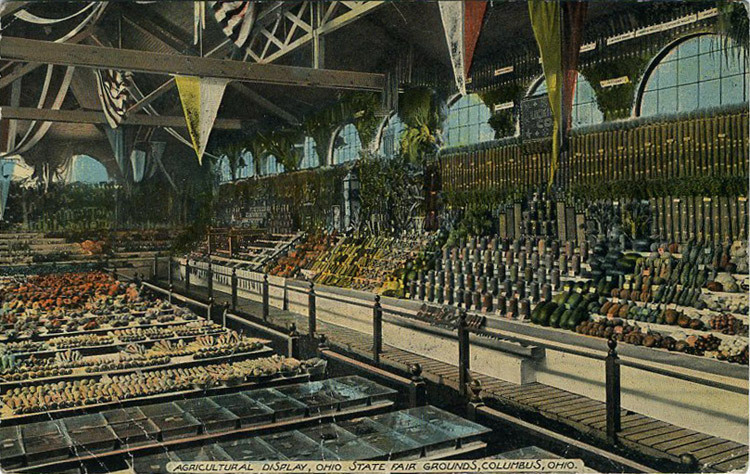 Canned and fresh produce on display at an early 20th Century Ohio State Fair. 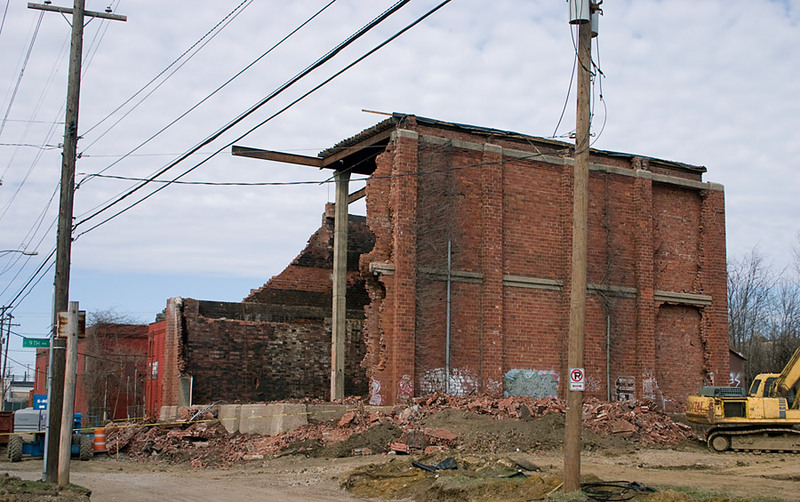 Demolition of 1920s City Ice icehouse as part of Grant Park development, April 2011. 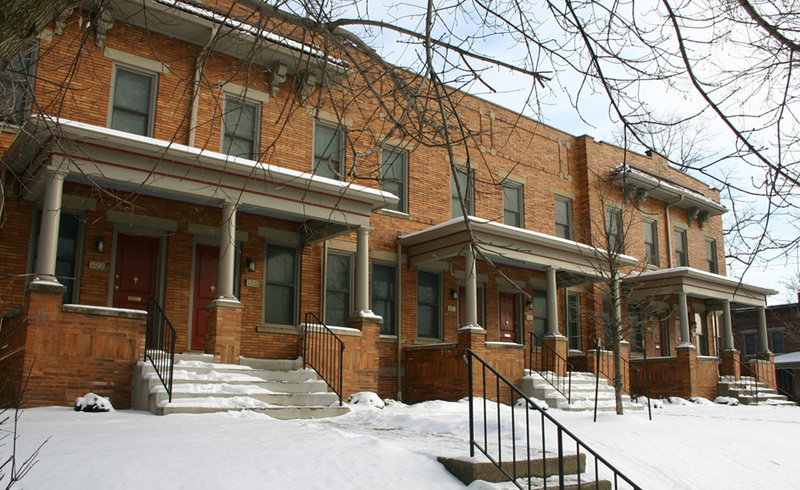 1580-88 N. 4th St. An early 20th Century Columbus Rowhouse. 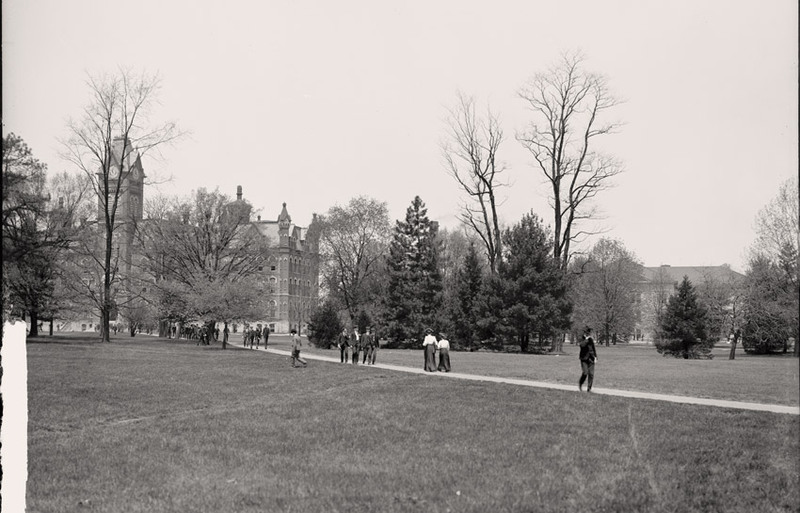 Detroit Publishing Company image of The Oval, looking towards University Hall, c. 1910. 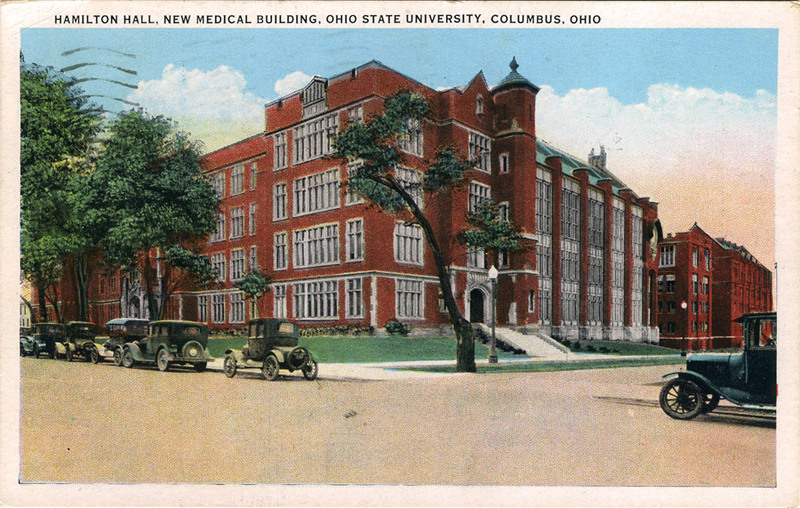 Intended for production of postcards. 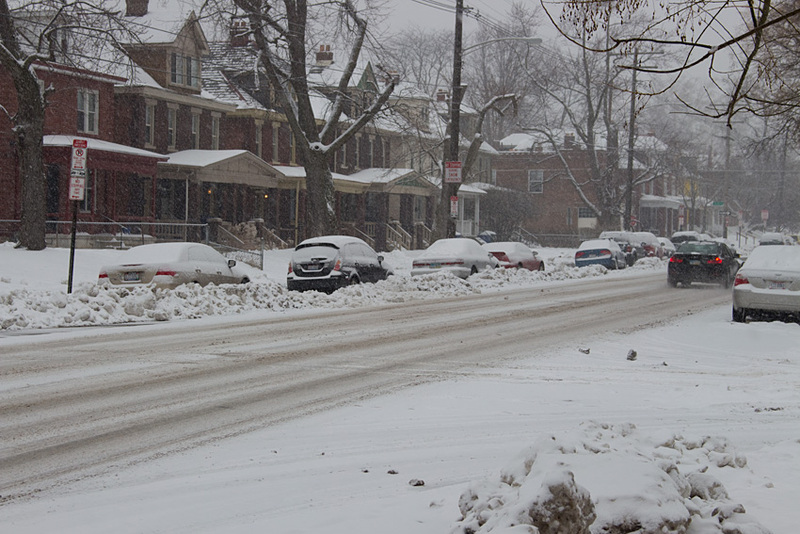 February 9, 2014- Snowy afternoon scene on N. 4th St. in the very cold and snowy Winter of 2013-14. 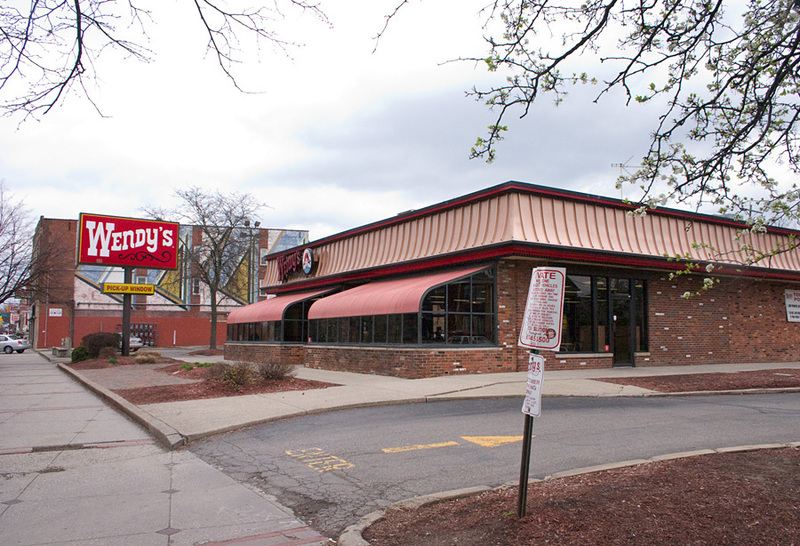 April 13, 2013- Suburban-style Wendy's at 2020 N. High. Built 1977. 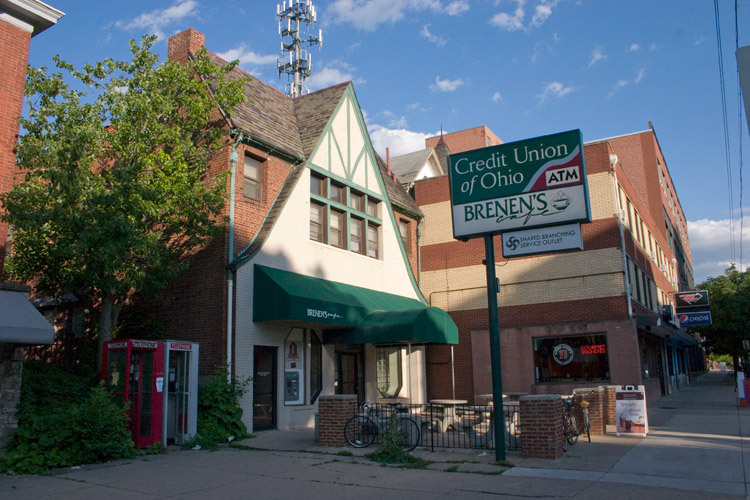 Demolished and replaced with multistory apartments, retail, and a new Wendy's in 2015. 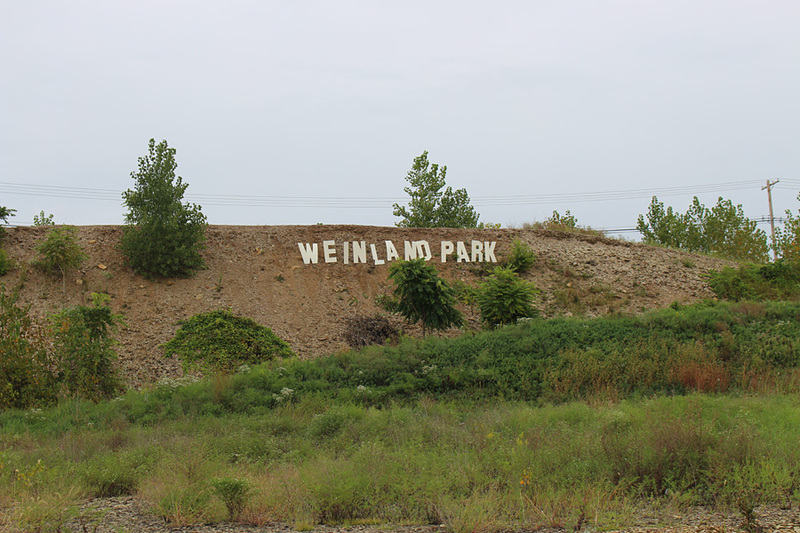 September 7, 2014- Hollywood-style "Weinland Park" sign placed by local artists on the slope of Mt. Grant, a huge mound of earth that sat for many years east of N. Grant on the former site of Columbus Coated Fabrics.